Were You Are Involved In A Hit And Run In New Hampshire? In our day-to-day lives, we have either stumbled upon a hit and run victim, know someone who was or have experienced the situation first hand. It is usually a confusing state and an individual is left gnashing their teeth and quite uncertain on how to get compensation for damages. You want to know how you can protect yourself when you encounter such an incident. One of the first things you ought to do is know what you’re claiming and in this case, it is a hit and run claim. Basically, a hit and run is an accident in which a driver intentionally flees the scene. For example, when a car hits you and speeds off. In this scenario, just by the motorist fleeing and leaving the scene makes you liable. Also, to be included in hit and runs are parking lot collisions. If you hit an unattended car in the parking lot and fail to leave your contact information, that qualifies as a hit and run. The question that is on many hit and run victims’ minds is what to do after such an accident? At this point most people are stressed, but it actually helps to keep calm and gather information on the car that hit you. You want to look out for the make, model, and license plate number to mention a few. It would be an added advantage if there were witnesses to the accident and ask for their contact information. Before leaving the scene, be sure to write the location of the accident, the time it happened, and take pictures of the scene. Involving the police once the hit and run accident occurs is a sure way to protect yourself. Immediately after the accident happens, be quick to dial the police and file an accident report. The advantage of doing so is that even if the police do not find the driver, having a police report can quicken the auto claims process. Hit and run accidents can be classified as felony or misdemeanors. Felony hit and run occurs when a motorist flees the scene where there is any type of injury to a person and attracts graver penalties than hit and run misdemeanors. Though misdemeanors seem relatively minor, they also attract a significant fine. Unfortunately, victims of hit and run accidents are often forced to collect from their own insurance policies unless the driver can be found. If the motorist can be found, you can get the car insurance information and file a claim with their car insurance. 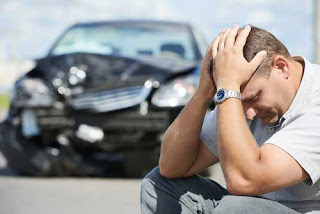 If the driver did not have sufficient coverage, you can seek the services of an auto accident attorney and the court system. However, in most hit and run cases the victims cannot identify the driver. Some ways of identifying the driver is involving the police, asking eyewitnesses, and requesting business owners around the scene to check their video cameras for footage. There is hope after all for hit and run victims provided you take the right steps in safeguarding your rights and follow up on legal aid. You will most likely be compensated for any damage caused.